Valve are now investigating The War Z’s Steam forum following multiple complaints from players claiming to have been unfairly banned for criticising Hammerpoint’s zombie shooter. This follows yesterday’s news that The War Z’s Steam store page contained inaccurate claims about non-existent features amounting to false advertising. Hammerpoint have now edited the game’s product description to more clearly delineate between upcoming and existing content. They’ve also issued an apology to gamers who “misread” the Steam Store page. 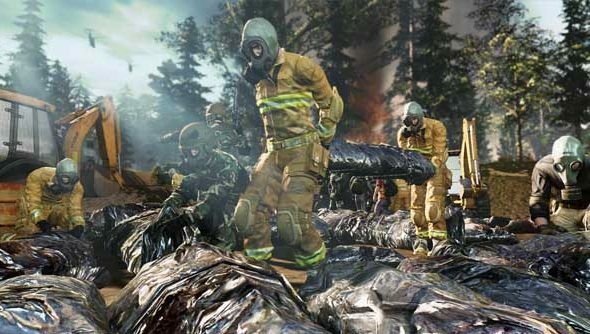 The two most egregiously inaccurate features claimed the “Foundation Release” ofThe War Z to contain multiple maps, each containing areas between 100 and 400 square kilometres, as well as caps of up to 100 players. Though some servers are now running at that cap, it remains the case thatonly one map is available. The game’s executive producer Sergey Titov posted on The War Zforumto apologise to players who “misread” the listing of the game’s features. “It was clear that there were a number of customers that felt that information about the game was presented in a way that could have allowed for multiple interpretations,” he wrote, before thanking players for their continued support. Inan interview with GameSpyhowever, Titov seems unrepentant, arguing that players are simply misinterpreting the meaning of claims such as “up to 100 players”, and that “each world has areas between 100 to 400 square kilometres” does not, in fact,suggest multiple availableareas of sizes greater than Hammerpoint havedelivered. The War Z remains atop the Steam top sellers chart despite accusations of censorship on The War Z Steam forum, where users are reportedly being banned en massefor criticising the game and its developers. Meanwhile, I’ve been playing it and my very early impression is thatit’s a bit rubbish. More on that soon.